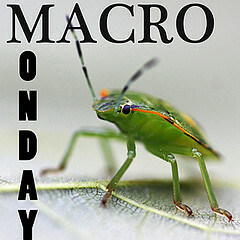 This weeks link up to Macro Monday comes to you from Panacea Fl. along this little beach and checking out the plants and wildlife! usually found embedded in the most tender part of one's foot!!! EEoooucccchh!!! Monarchs find their way to this part of Florida every year.. very pretty.. if you like that kind of thing. We all know that moths and butterflies are not my cup of tea...can't stand all that fluttering! Wow, the butterfly is stunning. Linking over from Macro Monday. Love the first shot - such beautiful bokeh. Lovely light in the image of the butterfly. Amazing shots. The grass is just lovely, the butterfly stunning and whatever that prickly thing is...dangerous but interesting.